Description Black finger smudges, edges worn, mounting scratched & creased. Mounted on black cardboard. Photo - H 4.5 X L 6.5. 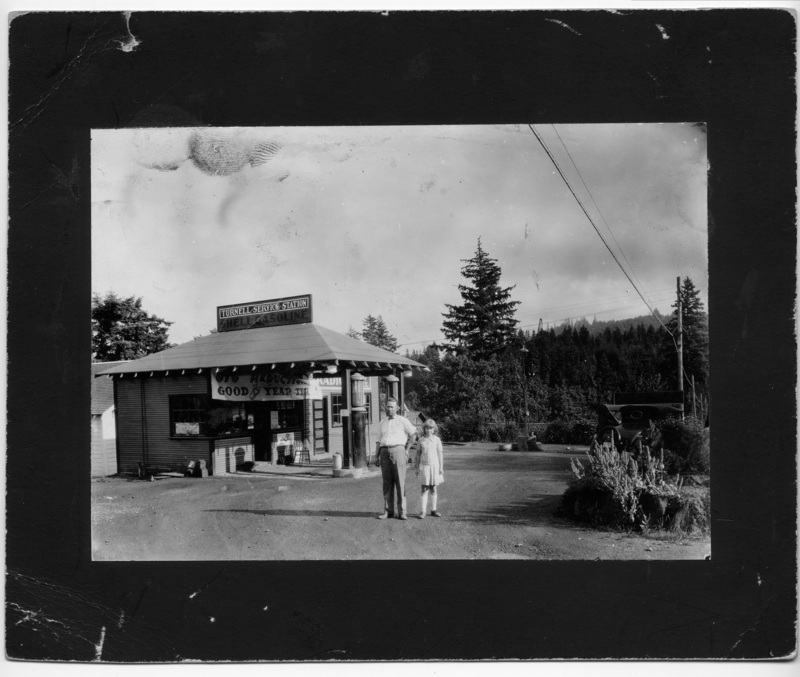 From 1929 Polk's Portland City Directory: Turnell, C Irly (Martina)(Turnell Serv Sta)(Turnell Radio Shop) h [home] Oswego Ore; Radio Shop (C I Turnell I W Haines)Oswego Ore; Service Station (C I Turnell) State Hway Oswego Ore. Turnell Service Station was only listed in the 1929 and 1930 directories. Turnell later worked for Oregon Ship Building Corporation in the 1940s.